Re: How's the Weather Where You're At? At least 14" of global warming on the ground here--so far. Below 0 and a foot of new snow. Meanwhile in Chevak AK where my son teaches it is above freezing and raining. Since Feb 22, we have received 0.43" of rain. Oh, woopie. . . Meanwhile, floods and snow closed roads in Northern CA. @sanderson wrote: Since Feb 22, we have received 0.43" of rain. Oh, woopie. . . Meanwhile, floods and snow closed roads in Northern CA. UP TO 7" SNOW HERE ON SUNDAY. Perfect spring day, here. Guess what I'll be doing just as soon as the sun comes up. Our 3' or so of snow has settled a bit. 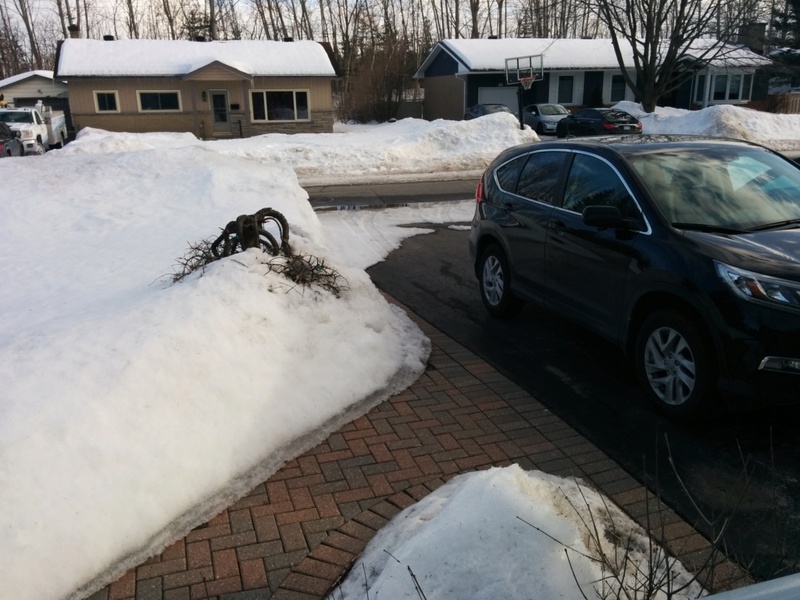 Fortunately, the plows came by again yesterday, leaving their usual berms in their wake. Our weather is great, but I just read that the mid-west is getting a "bomb cyclone" later today. WHAA? Fingers crossed for any of you in its path. @countrynaturals wrote: Our weather is great, but I just read that the mid-west is getting a "bomb cyclone" later today. WHAA? Fingers crossed for any of you in its path. It's 65°F today, with light rain earlier this morning. Forecast for low 70's tomorrow, with 40% chance of tornadoes. Then back to the mid-40's for the next week. Spring in Ohio. Geez, I'm planting tomato seeds this am, so I have them on the brain. I read your post too fast and thought it said "40% chance of tomatoes." 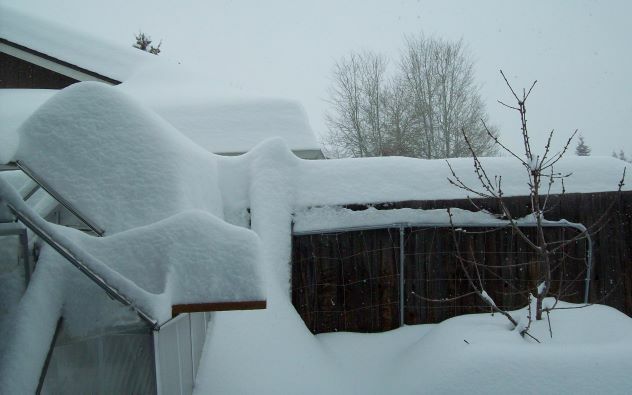 So a week ago Monday it was -38* F here and a second foot of snow had fallen. Meanwhile it was 40* and raining in west central Chevak, Alaska. Yesterday it was sunshine and 38*F here and everything was dripping, meanwhile in AK it was 20* and snowing. Today, here, it is 27* and starting to snow, while in AK it is 34* and raining. I think we are on a seesaw. I seriously doubt that the crocus will bloom for equinox this year. 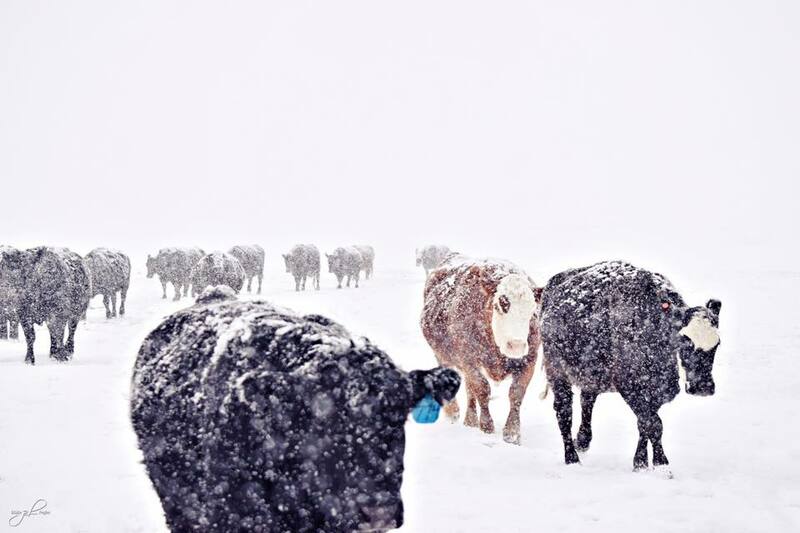 I belong to an Ag FB Page and the photos of the ranches and livestock in the northern states are amazing and heart breaking. Even for farmers, they can't even get to their fields for spring plantings. This 1-2% of the population feeds the US. 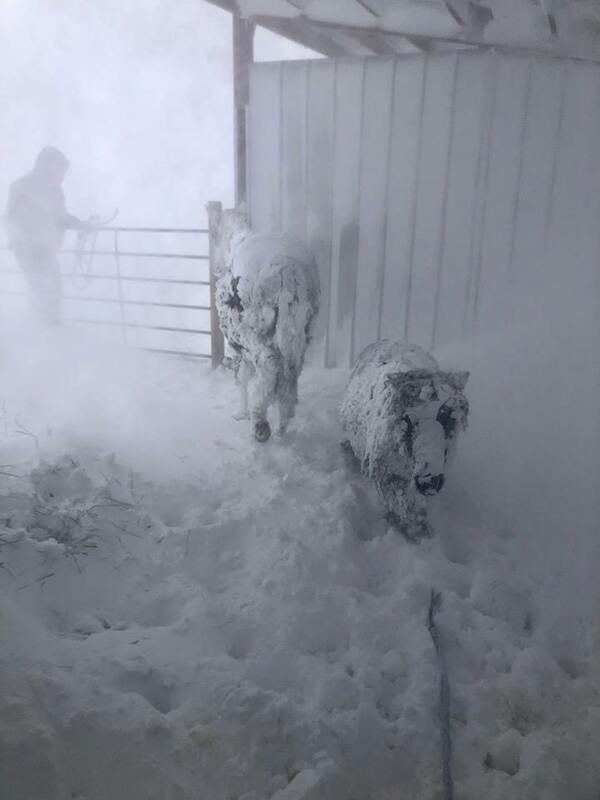 Horse and pony brought in from the field to shelter and defrost inside the barn. Vet was needed at a horse facility. 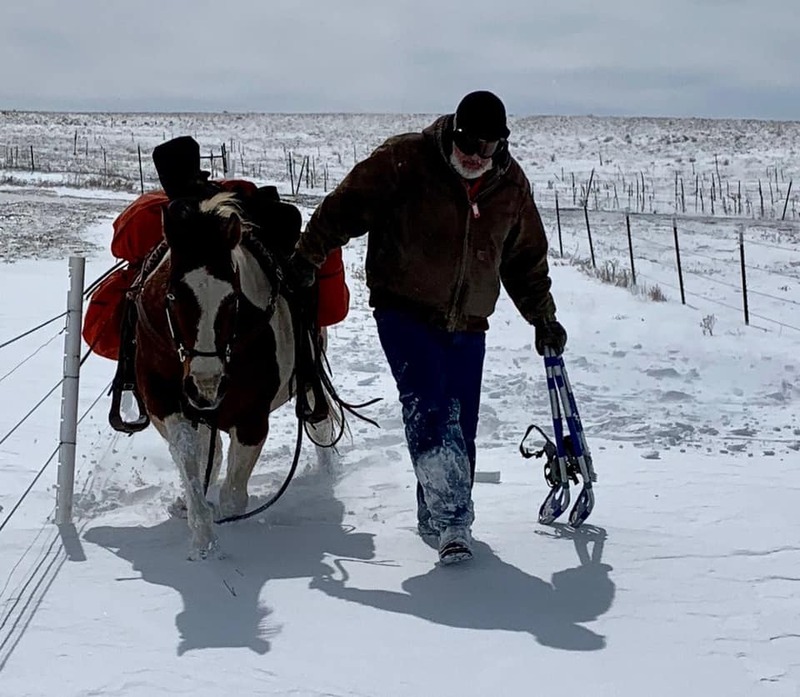 He couldn't get in by road for he walked in with supplies on his horse. Talk about a house call! Our snow here has melted somewhat, but I suspect it will be around 10 days to two weeks before I can see much of the ground. It's 75 and beautiful, here. We were supposed to get snow mixed with rain today, but it when somewhere else. Saw a few flurries, but the never made it to the ground. I am sooooooooo ready for Spring! Nice sunny day but plenty of snow on the ground here in Ottawa, ON. If I told you how rubbish the weather was over the last week you'd laugh, it comes in 20 minute cycles of wet , wetter, sleet , snow , hail , weak warm , sunny , T shirt warm, over coat warm & it's bone chilling cold when the wind is blowing from N S E or W .
The birds are wearing thermal rain coats , the worms have asked for sub aqua gear & wet suits . The squirrels have got frozen nuts & the brass monkeys are queuing up two abreast by my mancupboard because I have brass brazing gear on hand . Things might get better towards the end of the week, just in time for us to catch the tail end of the weather from across the pond in the USA or the north pole or Siberia . So , I have a cunning plan for the next week or more . It involves three 125 litre bales of sedge peat & several buckets of fine sieved 5 yr old well composted manure that the worms have gone through several times , the glasshouse with heated misting growing bed & the log cabin that contains a clear Perspex fronted , heavily insulated , UV lit , thermostatically controlled heated propagating bed in a cabinet and nearly three hundred of my 40 mm dia bottomless growing tubes plus a portable 2.5 kw halogen electric heater . What a Wimp you are Plantoid. I don't blame you either. Sounds kind of cosy. Hope it warms up by the time I come over to Britain. Nothing but clouds and rain for the next 10 days. AARRGGHH!!!!! Warming up with lovely sunshine but the snow is taking its time to melt. 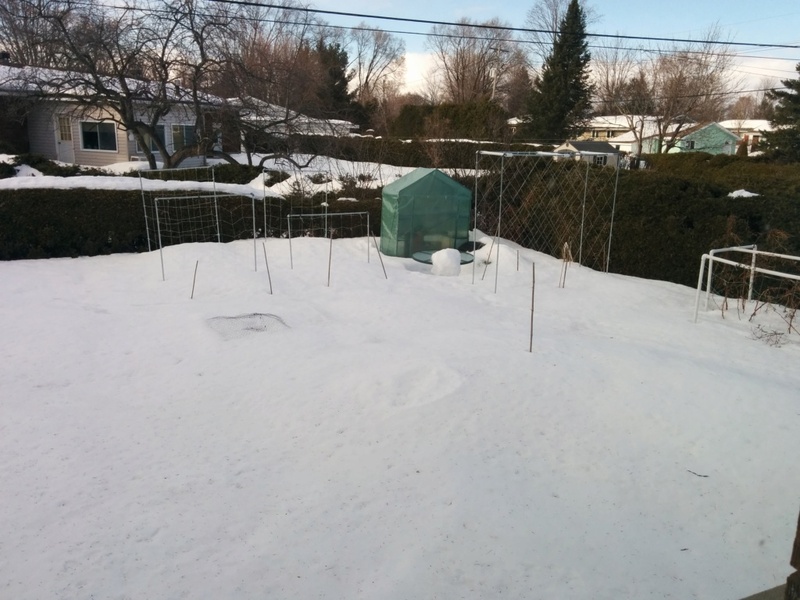 Still a foot in most of my garden, but I am under a northern hill that limits the amount of sun I get. We do not want a sudden melt as it means floods now and drought later. This is in The Southern Interior of British Columbia.